Click on each photo image below for a brief publication description and price. 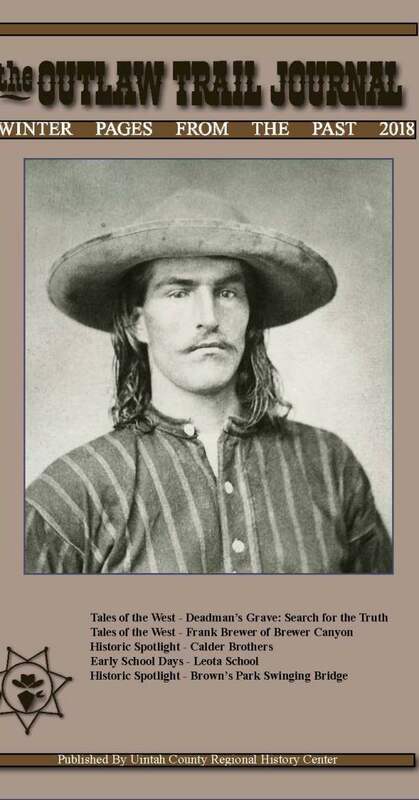 The Outlaw Trail Journal is a journal of history published semi-annually by the Outlaw Trail History Center. It is dedicated to the preservation and research of the history of the greater Uinta Basin, the Intermountain West, and the Outlaw Trail. The Outlaw Trail History Center is part of the Uintah County Regional History Center, 155 East Main, Vernal, Utah 84078. NOTE OF CLARIFICATION: Outlaw Trail Journal issues are listed in correct order of publication. Several errors in identification/numbering were made on several of the early issues. Even though they seem out of order, they are in their correct chronological publication sequence. Thanks! Click on each photo image below for a brief publication description, availability, and price if still available. OUT OF PRINT ISSUES are no longer available for purchase. Most Out of Print issues have a link to a full-text copy of that specific issue. By selecting this link, you may view Out of Print issues full-text. All issues are property of the Outlaw Trail History Center.